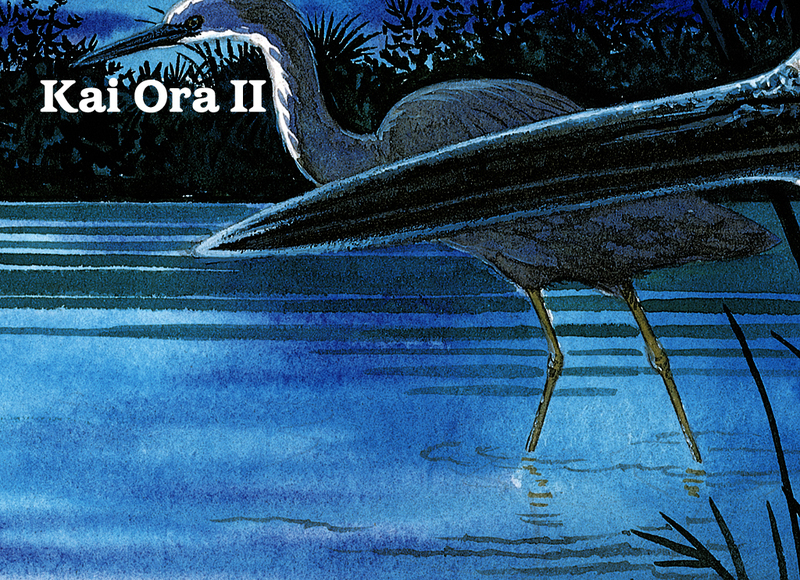 Kai Ora 2 is the second in the Kai Ora series and is a collection of twelve books for students, and a teachers’ resource book. It is cross-curricula, thematic in design, and is based around four kai Māori – Pātiki, Pāua, Pikopiko and Hue. These four kai have three related student books that each have a specific curriculum focus – Pūtaiao, Tikanga ā-Iwi or Te Reo Māori. The Tikanga ā-Iwi and the Pūtaiao books from the Kai Ora 2 series were nominated as finalists in the Kura Pounamu section of the LIANZA Children’s Book Awards 2008. The Tikanga ā-Iwi series was the winner. Published 2007. The resource is available on request to schools in Aotearoa at Down the Back of the Chair.